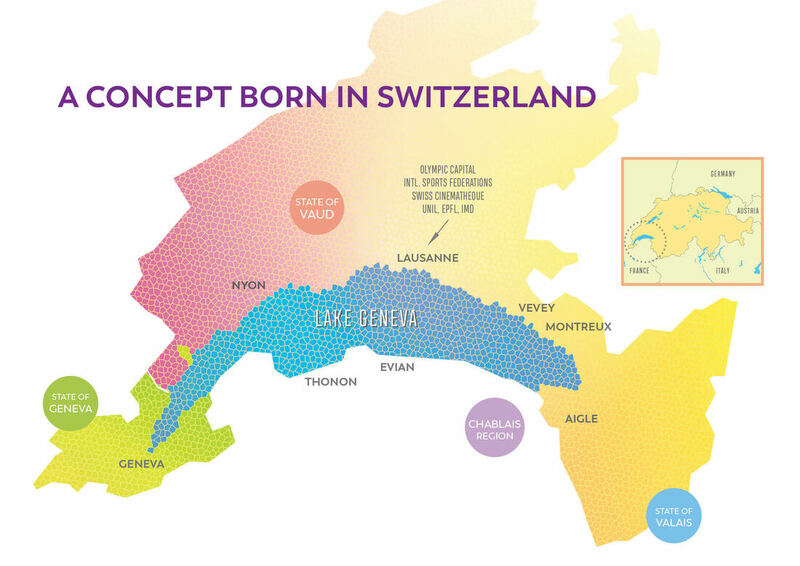 The Lake Geneva region has two unique characteristics: the highest concentration of sports federations on the planet (60) and an exceptional international influence. Add to that a very dynamic cultural scene and proven film skills. All these elements are united in one of the most beautiful regions in the world, between the Alps, the vineyards, the Mont-Blanc and one of the largest lakes in Europe. Together, these qualities can create a festive and unifying event, highlighting various poles of excellence around sport and areas related to it: technologies, health, education, well-being and food. This is precisely what PULSE! The International Sports Film Showcase, offers. This unique event, organised by professionals with recognised experience in Switzerland and abroad, is capable of both bringing together a wide audience and promoting the region well beyond its borders. PULSE! can also embody the concept of the Lake Geneva Metropolis and enhance its many assets. The region has more than 1,300,000 inhabitants around the lake. And just as the latter is polycentric, the Showcase aims to be held in several cities, allowing them to reveal their skills. Today, no event illustrates the richness of this Lake Geneva region, nor does it link the regions together. Through its films and debates, its stakeholders and personalities, PULSE ! can play this unifying role. Why partner with PULSE!? By bringing people together beyond sport and its usual image, by bringing together audiences much wider than traditional sports fans, by giving - thanks to quality films - an original body to various centres of competence in the Lake Geneva Metropolitan Area, the Showcase is an essential event for any actor wishing to be associated with the dynamism linked to sport. This major experiment will be held in emblematic locations in different cities and will be carried out in collaboration with organizations and institutions in the fields of culture, sport, health, economics and education. Each region will thus be able to capitalize on its own strengths. Freeze frame. ​The PULSE! ’s concept allows for many opportunities when linked to cities and places such as the following ones, playing a role within the sport realm. The presence of the IOC and some 60 international sports federations makes Lausanne the Olympic capital in the world. It is also a city of culture, with 20 museums, 30 theatres and a large number of festivals dedicated to arts. The PULSE! project builds a bridge between sport and culture, two worlds that are generally separated, but which can bring a lot to each other. The Festival aims to further enrich the sports culture and wishes to contribute to the development of the Olympic identity of Lausanne. Geneva is known throughout the world, due in particular to the United Nations and the many international organizations, NGOs and multinationals. It also houses the International Automobile Federation and the United Nations Office on Sport for Peace Development. On the cultural level, it is rich with an opera house, about twenty theatres, about thirty cinemas and museums. PULSE! connects these three worlds - International Geneva, the world of sport and culture - and creates new interactions. Nyon gathers many festivals and a large audience: 300'000 spectators between Paleo, one of the major musical events in Europe and Visions du Réel a documentary film festival created in 1969 complemented by the Industry. It is also the headquarters of UEFA, the umbrella organisation of 55 national football associations across Europe. The city’s notoriety, thus far, exceeds its size on both fields and it is only natural that Nyon should claim to be a city of sport and culture. The PULSE! project is precisely a link between these two disciplines where excellence and emotion meet on a daily basis. It underlines and enhances it. Vevey is a city of images and qualifies as such, with its university of applied arts, its international photography festival and its immense museum centre - a unique space in the world - dedicated to Chaplin. Finally, it is Nestlé's headquarters, which has also contributed to the city's image and created a centre of competence around food, an important area for sport. The PULSE! project makes it possible to consolidate and enrich this vocation as a city of images, extending the heritage left by Chaplin and giving an additional flavour to Lavaux, a vineyards region protected from development and one of the UNESCO World Heritage Sites. Montreux is a city of sounds, thanks in particular to the Montreux Jazz Festival, known worldwide and holding one of the largest audiovisual archives of concerts in the world. It has also been described as a "Mecca of artistic gymnastics", as it has hosted important events in this sport. Not far from the statue of the famous singer Freddie Mercury, is erected a bronze of Li Ning, the Prince of Gymnastics a Chinese multi-medal gymnast, to mark the links between the city and this discipline. Like these statues, the PULSE ! project embodies human stories. By bringing them to life through cinema, the Festival can bring culture and sport together in this small paradise on the Riviera by Lake Geneva.. In between the cantons of Vaud and Valais, Chablais area and its main city Aigle can boast a number of assets, including its wine heritage and the International Cycling Union, the world's governing body for cycling. The UCI itself hosts the World Cycling Centre, which trains and coaches top athletes. The region is also the gateway to many ski resorts. The PULSE! project is built in a similar way to the Chablais, by relying on the skills of the different places and believing in polycentrism. The Festival and the region thus speak a common language that does not require more reasons to be linked. Beyond the different regions, Switzerland as a whole can benefit from an event like PULSE! Home to exceptional sportsmen and women, Switzerland is also a champion of innovation. The excellence of its research has made it possible to create stronger sails, lighter bicycles and more efficient hiking equipment. Neuchâtel for example is a centre of excellence for sports law. Basel is home to the Swiss Sports Museum. All these elements show that sport is much more than a physical prowess. It is a reflection of life, with its successes and failures, its joys, its sorrows, its motivations and frustrations. Its greatness and its baseness. And who better than the cinema to capture this kaleidoscope of emotions? By proposing a totally new concept, PULSE ! wants to bring together people, organizations and ideas. The Showcase aims to entertain and inform by bringing sport and culture under the same roof, convinced that the two disciplines enrich each other.